American National Bank and Guaranty Bond Bank in Mt. 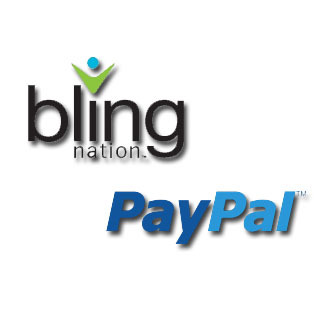 Pleasant, Texas are now offering tap and go mobile payment to their customers and the community through Bling Nation. Customers with a checking account at either bank can sign up for a BlingTag, a quarter-sized microchip sticker that adheres to the back of their mobile phone to enable debit transactions directly from their account. Each time a purchase is made using a BlingTag, the consumer receives a transaction confirmation and account balance by text message. Since the BlingTag does not store any personal information, it offers more security than traditional plastic cards and reduces the risk of identity theft and fraud, according to Bling Nation. “We chose Bling Nation because they offer a win-win-win product—banks and merchants win by reducing costs, consumers win by accumulating rewards each time they use their BlingTags, and community wins when more money is spent locally,” said Martin Bell, executive vice president of Guaranty Bond Bank.